Description: We are an authentic Indian restaurant. We are passionate about what we do and strive for perfection. Always look forward to getting meals from Zara's, food always very tasty and fresh. 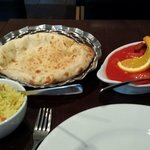 My favourite dishes are the Patia and roshni, I also love the cheesy garlic nan bread. Highly recommend, great for a weekend treat . We have visited Zara's Antrim . The place is good as usual , The food is excellent , The service was very good , Sunny , was the best waiter . All the staff was friendly , We have got our food on time . Our team manger was very happy about their service . We are planning to our Christmas Staff Party at ZARAS . The food was excellent . This place was pristine clean. Our over all comments for this restaurant is five star . We will be dfo come back ZARAS . This place is good for small party . Popped in here mid-week after collecting other half from an evening class in Clotworthy House. Noone else in the restaurant (but there was some takeaway business). Service was good and friendly. Food was excellent - Sylheti. The decor may be looking a little tired but the food and service were first rate - well worth a visit. We ate here as a group. It was very enjoyable, pleasant food and drink. Great atmosphere and surroundings. Food portions are generous and taste very fresh and authentic. Most of the staff are very friendly and polite, they seem to work together and have a great team spirit. However one of the staff, a young girl, is what will prevent us returning. I think she is covering for the usual girl who is off on maternity leave. When we entered we were greeted with a blank stare from her, no greeting etc. Someone asked to her to get us some popadoms for the table, she let out a huge sigh. Said popadoms were thrown down at us with attitude. She walked off without even a smile or acknowledgement, she then leaned on the bar while watching others work. My daughter got up to use the bathroom and was given what can only be described as a dirty look. She cost the rest of the team their tip as they share them. Upon sharing my experience with friends they agreed that they had felt uncomfortable and did not like eating there as she was there. We thought it was only weekends she was there and decided that next time we would go during the week, my husband poked his head in and saw her there on a weekday also. Sorry Zara's but until the normal team is back together we won't be back. This opinion seems to be shared by a few people I have spoken to. Antrim has an abundance of crap restaurants and Zara's is most definitely a hidden gem. Indian cuisine is probably my favourite and I cook it from fresh a lot, therefore I can appreciate the quality of Zara's food. The food is fresh, flavoursome and authentic. Portion sizes are generous therefore great value for money. We have never had a bad meal in here, so difficult to recommend just one dish. The latest time I really enjoyed a lamb biryani which was fabulous - tender, delicate lamb with no fat. Their homemade naan bread is to die for. Service is prompt and friendly, another bonus. Free shot that comes with the bill is another nice touch. Been to Zara's? Share your experiences!